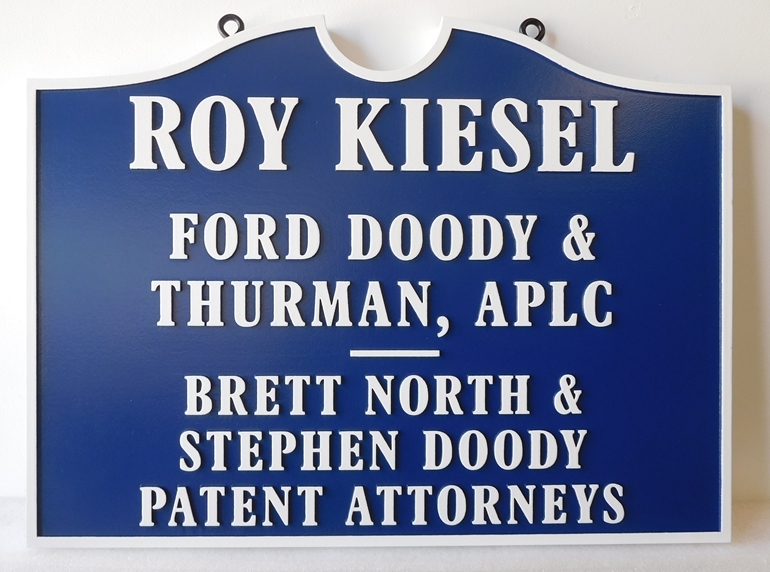 Above is a carved HDU sign for a Professional Law Corporation (APLC) and a Patent Attorneys office. The sign, completed in blue and white, features carved, (2.5 D) flat, relief text and borders. The paints used in the sign were highest quality automotive grade Mathews paints, followed by double application of highest quality Mathews clear coat for added durability and UV protection.